A new project reveals the extent of preventable deaths in the wake of the 2017 hurricane. 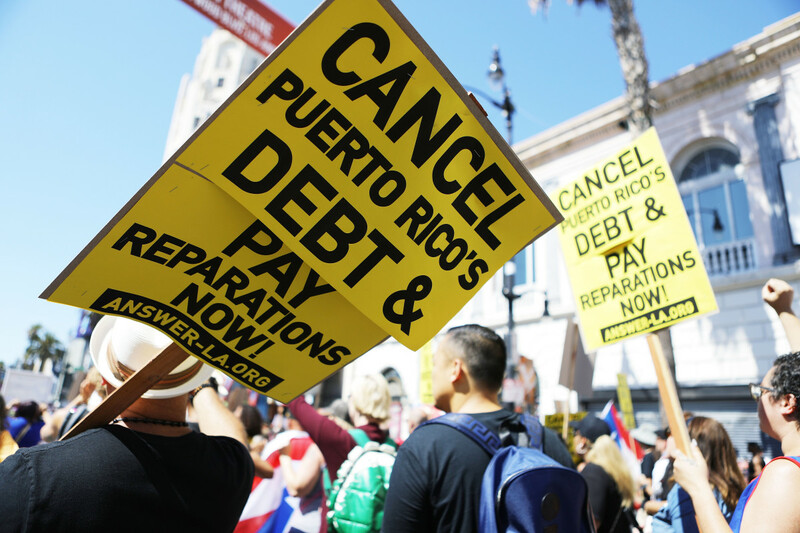 Activists in Los Angeles call for supporting Puerto Rico on September 23rd, 2018, one year after Hurricane Maria devastated the island. On February 2nd, 2018, Aníbal Dones Flores, 54, woke up in San Lorenzo, Puerto Rico, with an asthma attack. 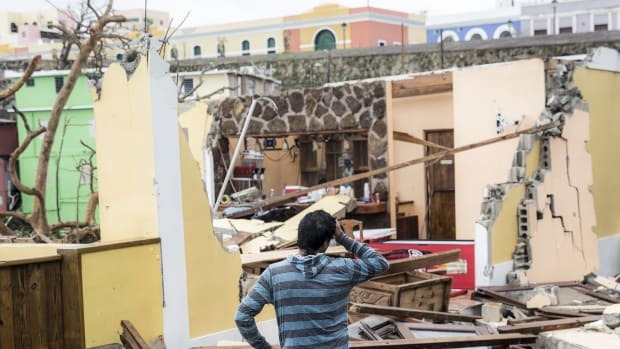 It was almost half a year after Hurricane Maria had savaged the island, but Flores still didn&apos;t have power in his house. His condition grew worse as he labored to awaken his brother, hoping his brother could turn on the generator to power Flores&apos; breathing machine. The brother called 911, but the dispatchers sent an ambulance from neighboring Juncos, rather than one from San Lorenzo itself. By the time the EMTs arrived, Flores had died. 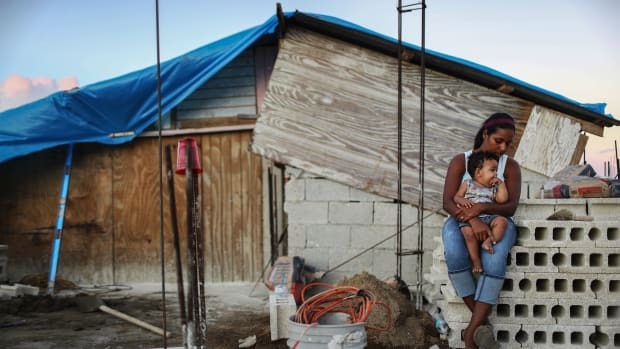 Flores is one of the thousands killed as a result of Hurricane Maria, a disaster still claiming lives even today, thanks to the severity of the storm, the long neglect of the island&apos;s infrastructure, and, arguably, a willful disinterest from federal disaster officials. 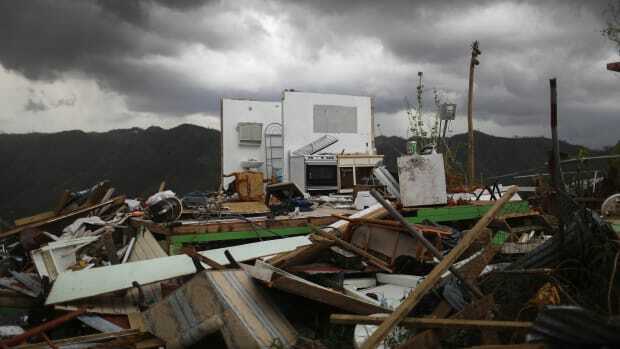 The story of his death, along with the deaths of about 475 other Puerto Ricans, was collected through a collaboration between Quartz, Puerto Rico&apos;s Center for Investigative Journalism, and the Associated Press. The project came online even as President Donald Trump was falsely claiming that over 3,000 people didn&apos;t die in the disaster and subsequent response, arguing that he and his administration had done a "fantastic job" supporting the island. The grim narratives in the project reveal just how badly relief efforts have failed, how long the road is to recovery, and, as we have regularly reported at Pacific Standard over the last year, how disaster recovery will continue to fail if it doesn&apos;t prioritize access for disabled people who are in harm&apos;s way. Instead, even when disaster services are robust, disabled people routinely get ignored or abandoned. In Puerto Rico, where federal efforts fell so short, story after story reveals the extent of preventable deaths in the wake of the hurricane. Elba Isabel González Aponte, 70, died just days after Maria&apos;s landfall last September. Aponte had Alzheimer&apos;s disease, used an oxygen machine, and was fed through her stomach. She started coughing blood and couldn&apos;t breathe, but her family couldn&apos;t call an ambulance, so she died. Eva Milagros Cruz Rodríguez, 19, also had a condition that required mechanical ventilation. She died in October after an electrical blackout, when her lungs collapsed. Puerto Rico&apos;s widespread inability to run oxygen or dialysis machines in the wake of the hurricane killed dozens of people, according to this grim database—emphasizing that advances in medical care generally depend on a source of power. Neglect of electrical infrastructure, therefore, can mean a death sentence when disaster strikes. One might be tempted to attribute these deaths in the aftermath of a storm to an act of nature, but while the hurricane was "natural," the weeks and months of electricity failures can be attributed directly to human choices. As disaster scholar Jacob Remes told Pacific Standard last year, "What makes [natural hazards] a disaster is how they intersect with individual and community vulnerability, which is socially constructed." Lack of power wasn&apos;t the only issue, of course. One morning, a few days after the hurricane made landfall, Faustino Báez Ramos, 78, just didn&apos;t wake up. His family told the project that, because of landslides, there was no way to take him to the hospital. Noel Llaberas Santiago, 68, got pneumonia in November. His house had flooded and filled with mold. Meanwhile, he had no running water. He did go see a doctor, but was discharged back to his home while still sick, and died of the respiratory infection not long after. 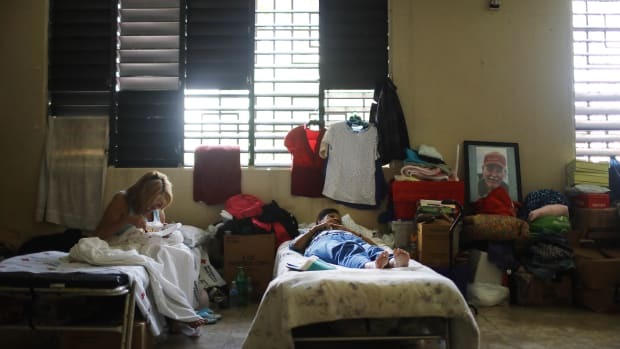 Ángel Luis Dávila Rodríguez, 33, had no job and, according to his family, felt that there was no road to recovery, so he fell into a deep depression. Rodríguez took his own life. 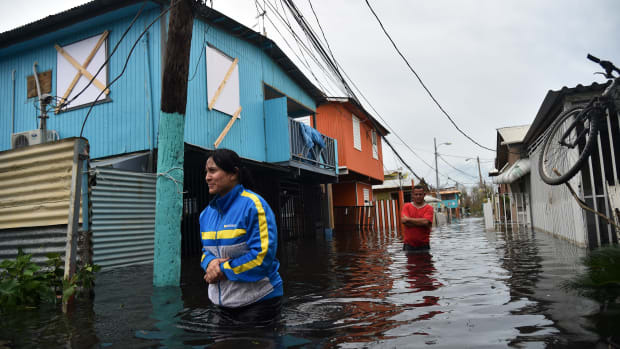 The Hurricane Maria project published its findings just before the one-year anniversary of when the hurricane made landfall. At the same moment, Trump decided to re-politicize the death toll, claiming—in what multiple news organizations called a lie—that only 16 people had died in the storm, and blaming Democrats for inflating the numbers. Trump&apos;s Federal Emergency Management Agency chief further suggested that the death toll had gone up because of "domestic abuse." Meanwhile, as Hurricane Florence landed on the southeast coast of the United States, the president&apos;s son, Donald Trump Jr., accused CNN anchor Anderson Cooper of inflating the storm&apos;s severity. The political response to Maria&apos;s anniversary—and to the latest big storm, which has, in fact, resulted in record flooding across the region—demonstrates the necessity of telling the stories of Hurricane Maria&apos;s victims while paying close attention to the interlocking human-driven systems that mitigate or exacerbate the effects of nature. In fact, failures in those systems are already claiming disabled lives again. As the Florence floodwaters rose, South Carolina deputies picked up Wendy Newton, 45, and Nicolette Green, 43. Both women had been involuntarily committed for mental-health reasons. The deputies were moving them from Loris, a small town north of Myrtle Beach, to Florence, a short drive away. The waters, though, made driving increasingly hazardous, and the trip took much longer than expected. Eventually, the van got trapped by rising waters. Reports have varied on whether the women were chained in the back or merely restrained by seatbelts, but what we do know is this: The deputies escaped from the cab. The women drowned, unable to escape from the back of the van. A year from now, South Carolina and its neighboring states will have dried out, rebuilt, and assessed who lived and who died as a result of Hurricane Florence. We will learn about more people like Newton and Green who were lost thanks to human systems, bad decisions, and inadequate preparation. We owe it to them to do better, as ocean waters rise around the world. Pacific Standard spoke with Blanca Cuevas, the director of a reproductive health non-profit based on the island. Officials Finally Acknowledged Hurricane Maria's Higher Death Toll. What Else Did They Get Wrong? For months, Governor of Puerto Rico Ricardo Rosselló refused to admit his government might have undercounted—and this is not the only spurious claim made since the disaster. For decades, Puerto Rico had been suffering the slow but certain violence of modern colonial capitalism. Lancaster, Pennsylvania, is a small town with a long history of integrating Puerto Rican families, but this most recent influx is putting its resources to the test. The third in a string of cataclysmic hurricanes, Maria hit the Caribbean just two weeks after Hurricane Irma devastated the region. Hurricane Maria is officially the deadliest storm in modern U.S. history—yet it received just a fraction of the aid given to Houston.